Modelling structure and/or reaction mechanism of a metalloenzyme requires constructing reliable computational models. This process usually starts with crystal structure and involves several steps, each potentially influencing the accuracy of the constructed model. 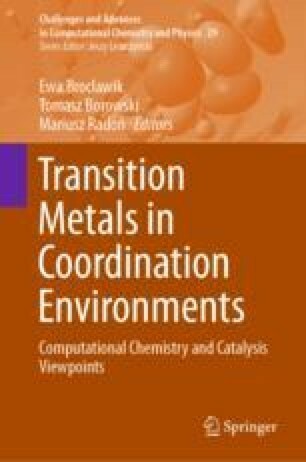 In this chapter, we provide an account, from our own works and from the literature, on how one can check the quality of the crystal structure, predict protonation states of titratable residues, including the metal ligands, perform molecular dynamics simulations, chose representative snapshots, and finally, construct a QM cluster model that can be used for mechanistic studies. This research was supported in part by PL-Grid Infrastructure. Computations were performed in the AGH Cyfronet Supercomputer Centre. Authors acknowledge financial support of the statutory research fund of ICSC PAS. M. Sz. acknowledges the input of Ewelina Biała, the undergraduate student conducting modeling of S25DH under supervision of M. Sz.